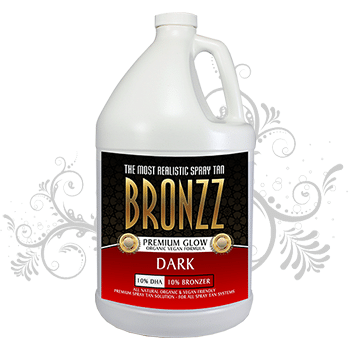 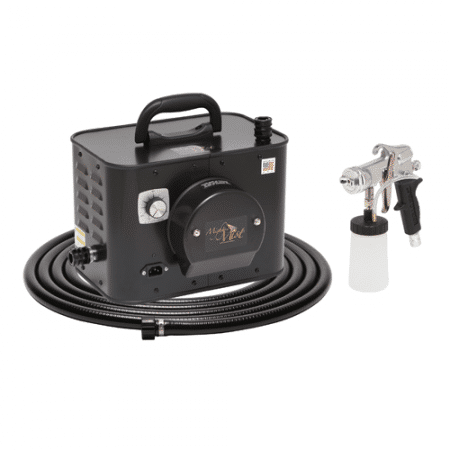 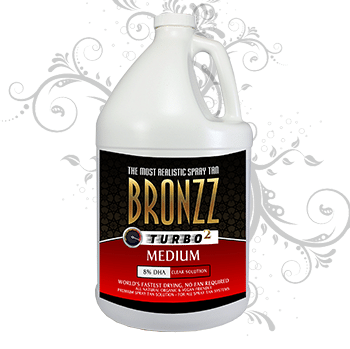 Bronzz Turbo 2 Vegan Spray Tan Solution – Medium (No Cosmetic Bronzer) for HVLP Airbrush Tanning Systems, airbrush tan machines and spray tan machines. Purchase your spray tan solution in BULK for SAVINGS! 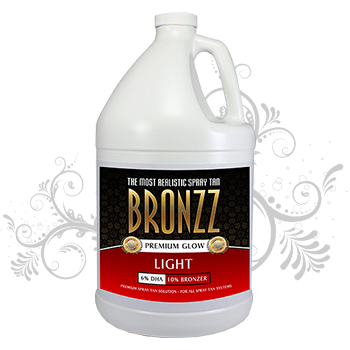 Only one shipping charge for up to 6 gallons per order!